Divorces present challenges for entire families, and children are no exception. Young minds may not yet be fully able to understand the causes for divorce; as such, it may produce feelings of anxiety, sadness, and uncertainty in children. To help your child process the news with as little confusion as possible, here are a few tips for the transition. It’s crucial to deliver the news to your children with your spouse, as it will help to communicate the idea that they’ll still have two loving parents despite future changes. This approach may also prevent any blame from being cast on a particular parent and foster a sense of unity and support moving forward. It can be challenging for children to understand the intricacies of a marriage, so without that context, they may naturally feel as if they’ve done something to cause the split. This can spur feelings of guilt, shame, and anxiety. Remind them that they’re not to blame by assuring them the divorce is a result of the adults’ lack of compatibility. Indeed, your children will likely have some questions, and they may not be entirely satisfied with your answers. Try to develop a plan to answer them as thoroughly as possible without giving away too many details, and use age-appropriate language when speaking to your children. Simply being there for your child is the best way to show support during and after a divorce. Ask them to talk about how they’re feeling, and let them say what they need and want. Look for signs of depression and anxiety — such as isolation or becoming withdrawn, abrupt changes in friends, or slipping grades. 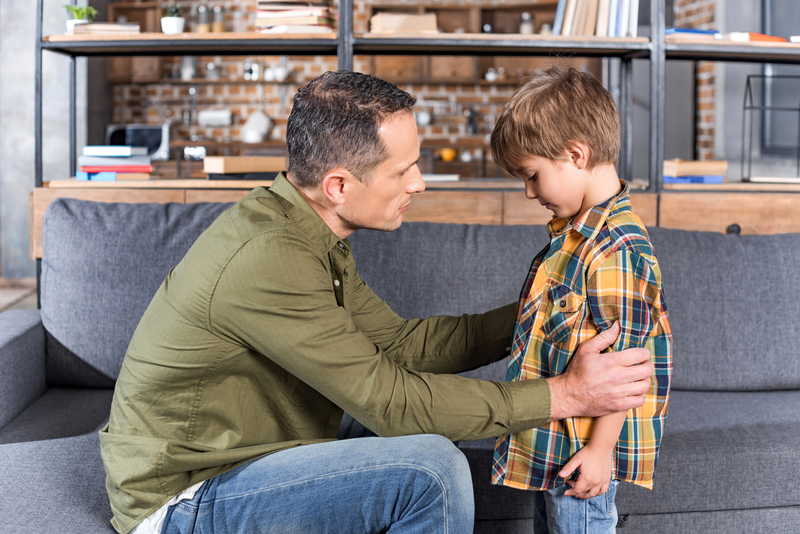 If you and your spouse are planning to or have recently divorced, the caring professionals from Canandaigua Lake Counseling Services can help you approach the subject with your children. Specializing in family counseling, anxiety, and stress management, these counselors offer a comforting atmosphere where family members can learn from each other and grow in spite of differences. Learn more about their services by visiting their website, or call (585) 919-0014 to schedule an appointment.